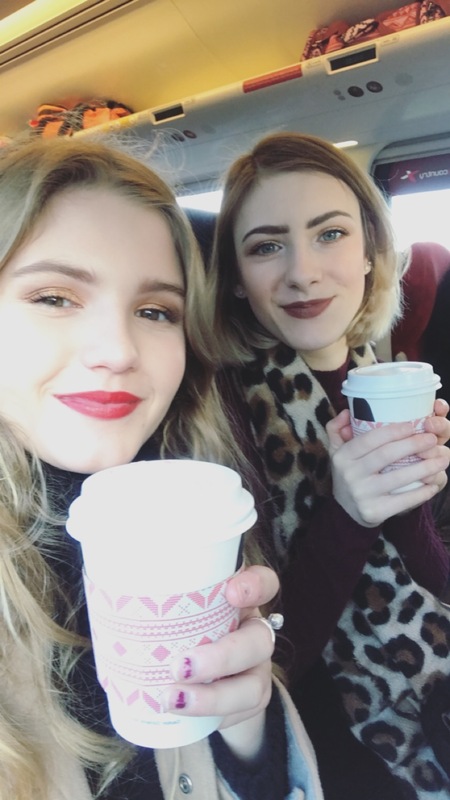 Yesterday, myself, Amy, Abi and Danielle headed off for our annual Christmas Shopping Trip to York! We had a lovely afternoon pottering around the Shambles looking in all the shops and of course stopping for food! As it’s only an hour away on the train it’s a nice alternative to shopping in Meadowhall and a lot more festive with all the lights and live music being played in the streets. Side note it’s probably cheaper to get the train than to park your car and then you can have a mulled wine at the Christmas Market- so plan that as you wish! Obviously I picked up a couple of presents so I can’t show those incase the person reads this post but for myself I did pick up a few pairs of glittery socks from Topshop as a treat. The most exciting shops I saw were the two Harry Potter shops which have appeared since last year. I was like a kid in a sweet shop, if you know me you will know I literally live, breathe, sleep Harry Potter. 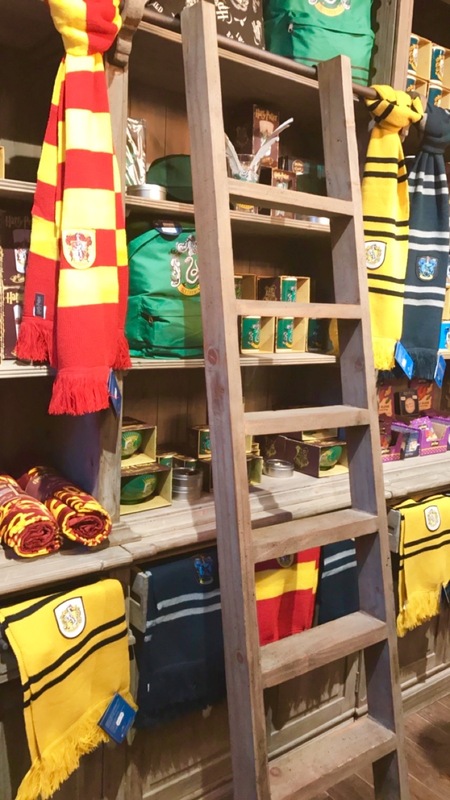 I had to show lots a restraint to not buy all of the Hufflepuff merchandise and the shops are so small you have to queue outside to get in so they don’t get too crowded! 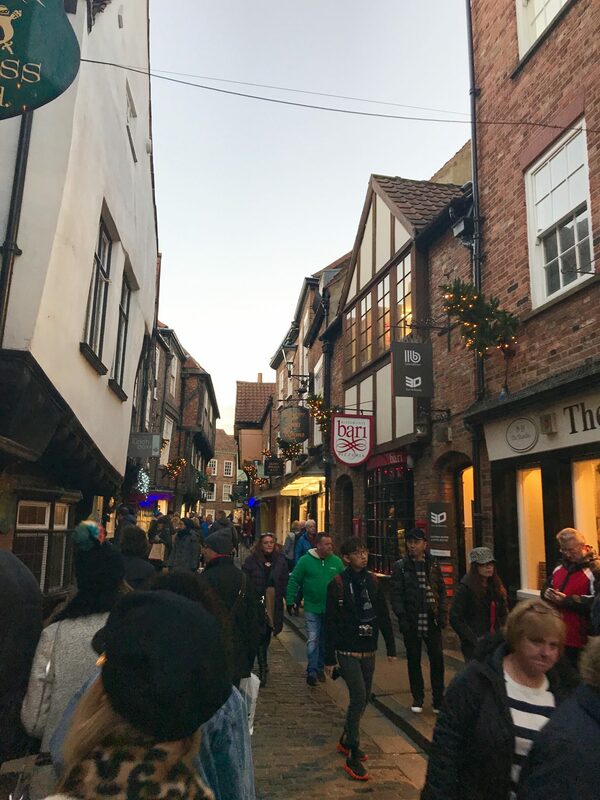 York is one of my favourite places just because it looks so old fashioned with the cobbled streets and wonky buildings that are really close together. 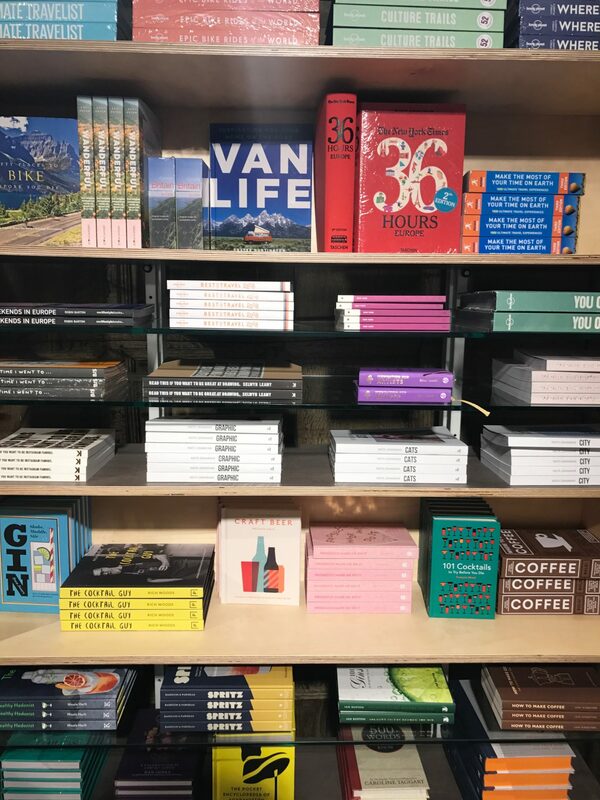 It’s also nice as there are shops we don’t have in Sheffield such as Oliver Bonas which I absolutely love as it’s full of cute homeware and quirky books! 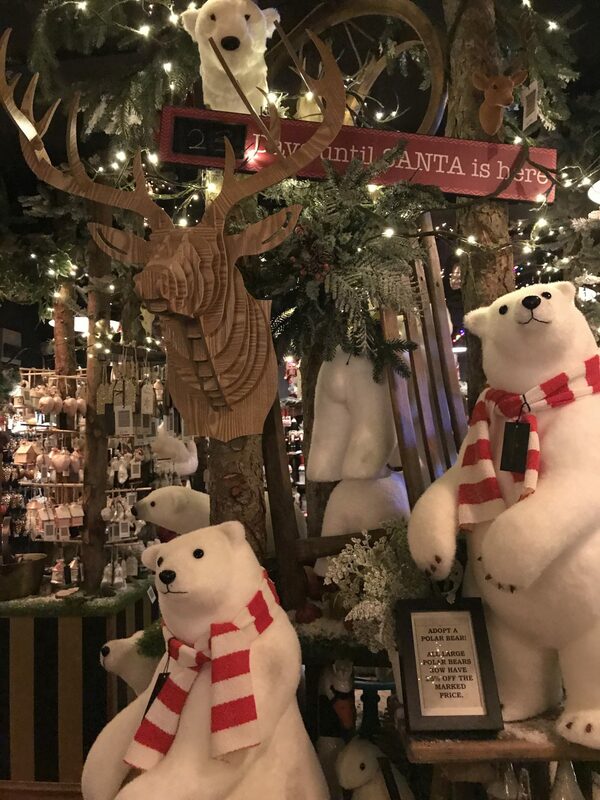 We also looked into an Emporium which had a whole section at the back of the shop dedicated to Christmas Decorations which as you can imagine looked amazing! All day we were looking forward to going to ASK Italian for tea as the restaurant is in an old Ball Room so it seems super fancy with chandeliers and pretty decorations, however when we got there it was closed for a function which we were less than pleased about. 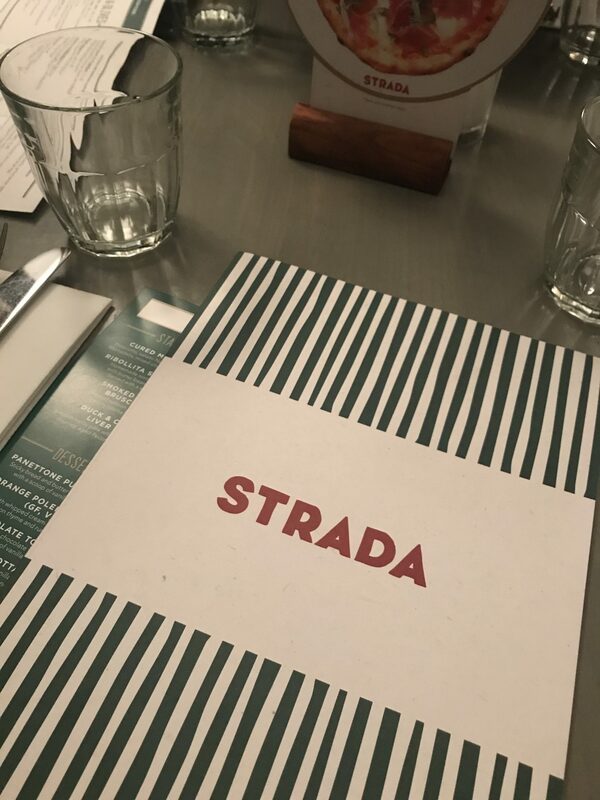 However instead we went to Strada for Italian food and it was gorgeous, me and Amy both went for a starter of Tuscan Bean soup which was very filling and similar to Minestrone. 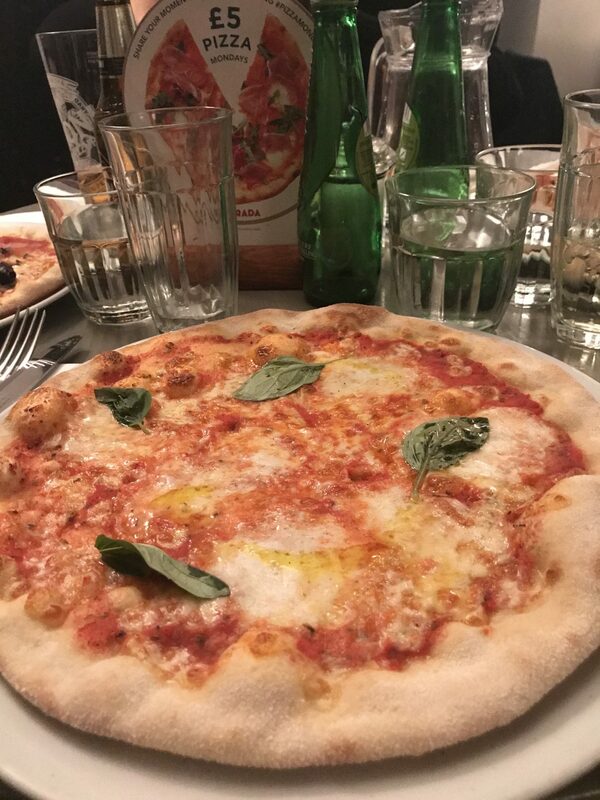 Then for mains we all went for pizza as they are £5 for a full size on a Monday- worth noting if you ned a cheap meal out! Despite all being rather full after the pizza we still made room for some pudding, I chose ice cream as per! 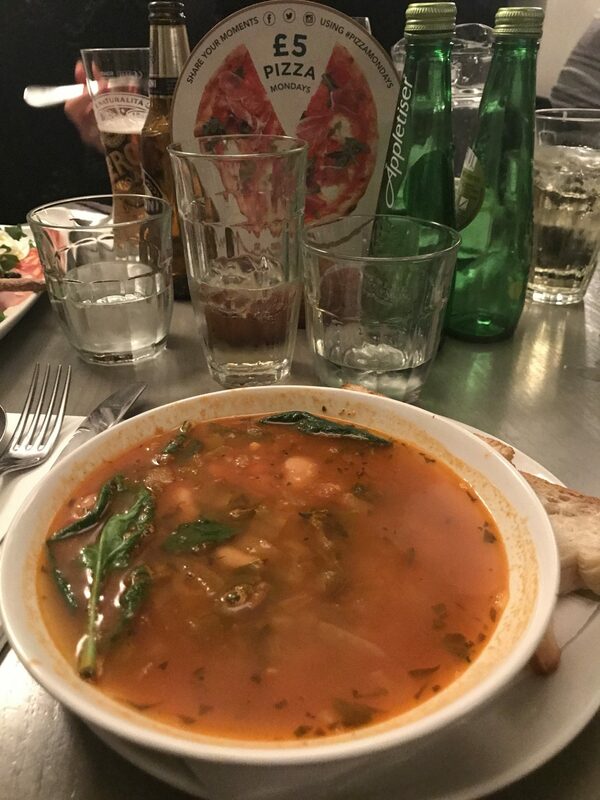 The most tasty but un-photogenic soup I’ve ever had. After we finished our food we went and caught the train home, it was such a lovely day and it’s a shame we have to wait another year to carry on the Christmas tradition! 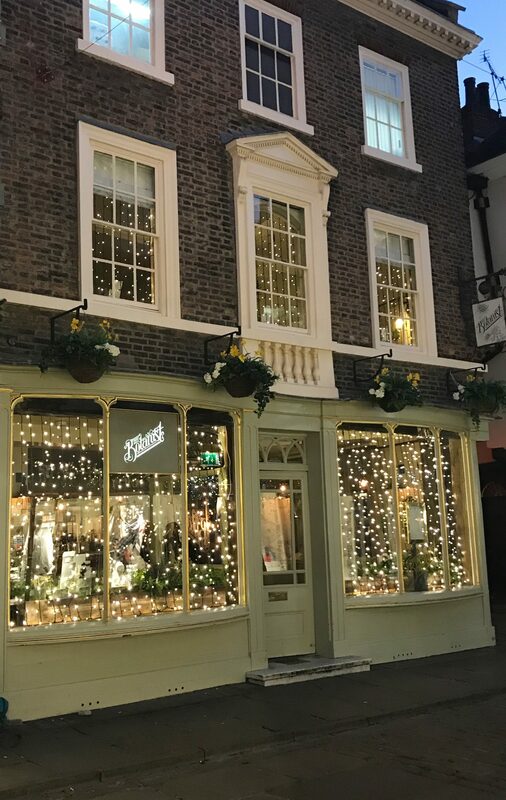 If you’re looking for something fun and festive to do in the run up to Christmas then definitely give York a visit! It’s such a lovely place! It was delicious!! The UK is just so christmasy, I’m so jealous! It all looks beautiful. I know we’re just waiting on a bit of snow now!